Andrew graduated from the University of Leicester, UK, with an MSc in Sports Management. In 2002 he founded the Bicycling Empowerment Network, serving as the Managing Director until 2014. 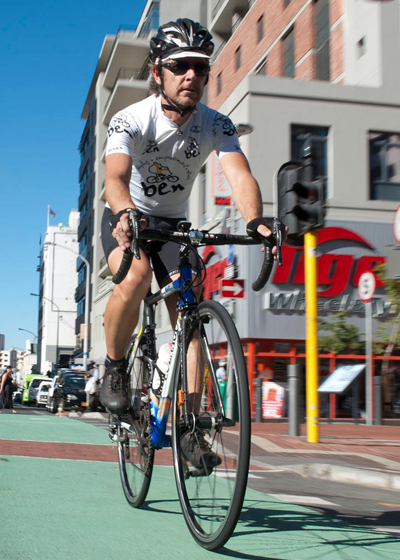 During this time, BEN distributed over 13000 bicycles, trained individuals in bike skills, and facilitated the planning and implementation of bike lanes in SA. Andrew is currently establishing Bicycle Cities , a consultancy which focuses on researching and implementing the necessary steps to achieve increased levels of cycling in urban environments. Andrew has presented on low cost mobility both in South Africa and abroad, including at Velo City Conferences in Dublin, Munich, Brussels and Copenhagen; and in Colombia, Ecuador, Brazil, India, Kenya, Tanzania and Senegal. Andrew has been a commuter, social and competitive racing cyclist since 1980 and encourages all those he meets to ride bikes. 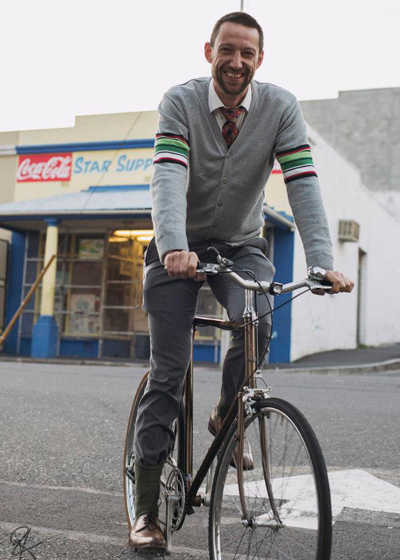 Jamie owns and runs Ubuntu Bikes, a Cape Town based social enterprise which creates custom bicycles from vintage and retro bikes and employs local artists to create custom artworks on bikes. 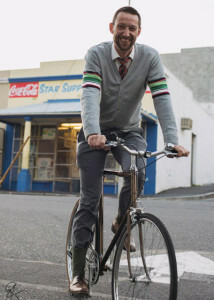 He is a regular cycling commuter and rides track and road races in his spare time. Leonie is the creator and director of Bicycle Cape Town – a community campaign to promote bicycle culture in the city. 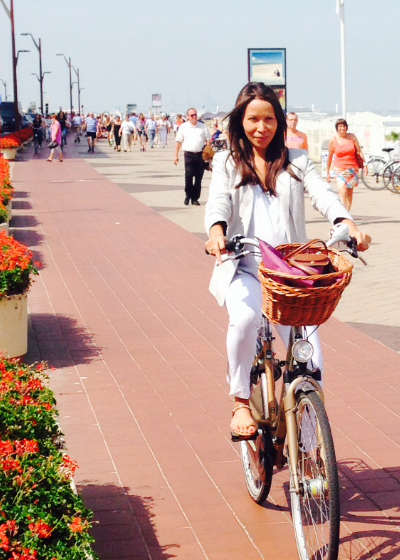 A designer, film maker & eco architect Leonie is passionate about sustainability and green living. After completing her architectural studies BArch Adv. she embarked on an exciting journey into the world of activism; founding Wildfire, a creative studio working to ignite social change. 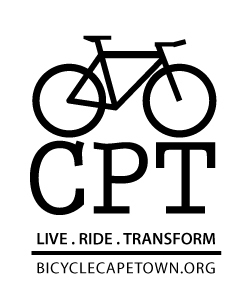 When she is not busy with cycling advocacy or blogging on bicycle culture, you will find her crusing around CPT on her commuter bike. Entrepreneur, activist and lifelong learner believing firmly that connections between the right people spark magic and greatness. Vast business experience across the African continent and recently Europe. MBA graduate, cyclist, hiker and yogini. Curious outdoorsy, Joleen believes in Mandela’s words “there is no passion to be found playing small – in settling for a life that is less than the one you are capable of living”. After growing within the tourism sector and promoting South Africa abroad, she switched her focus to local social and environmental projects. 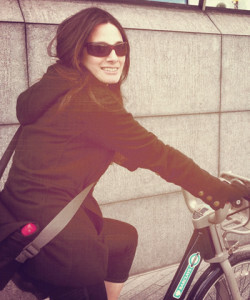 Enthusiast cyclist, she really only started to know Cape Town’s landscapes and diverse communities once on her bicycle. Since, she’s always up for a spin!